BoxLink provides special& unique service for all clients. With us you can now have Radio streaming service in your web site. Also we can provide you with hosting if you have not. Just select your targeted listeners' numbers you want to stream your radio to them. If you have more than 200 listeners just call us and we will prepare it for you. Random streaming for audio files. Random re ranking for streaming list. Moving to next audio file from control panel. 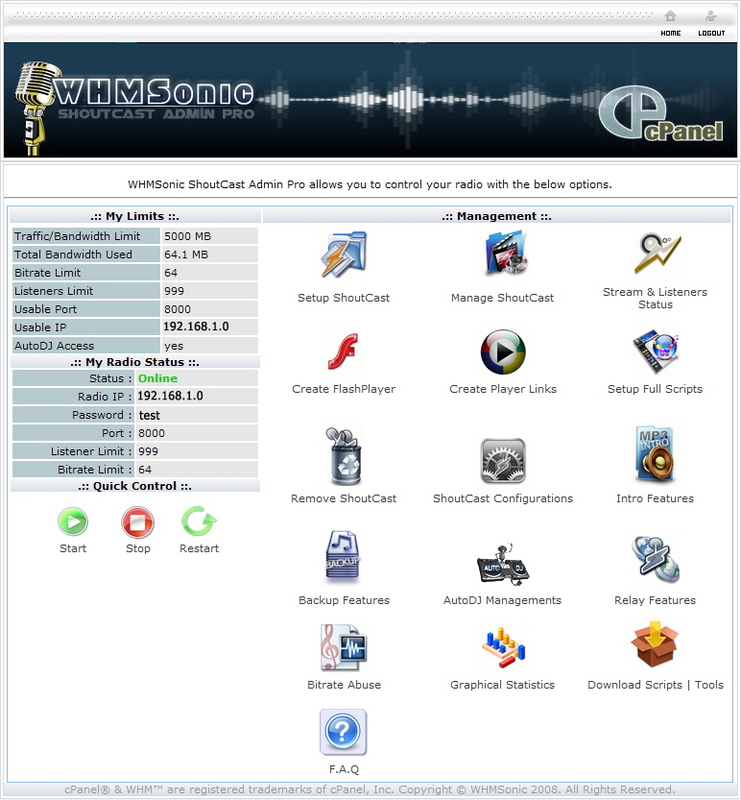 Put all MP3 files in one folder on your hosting to work as Radio Streaming file. Control over your streaming through your web site control panel.